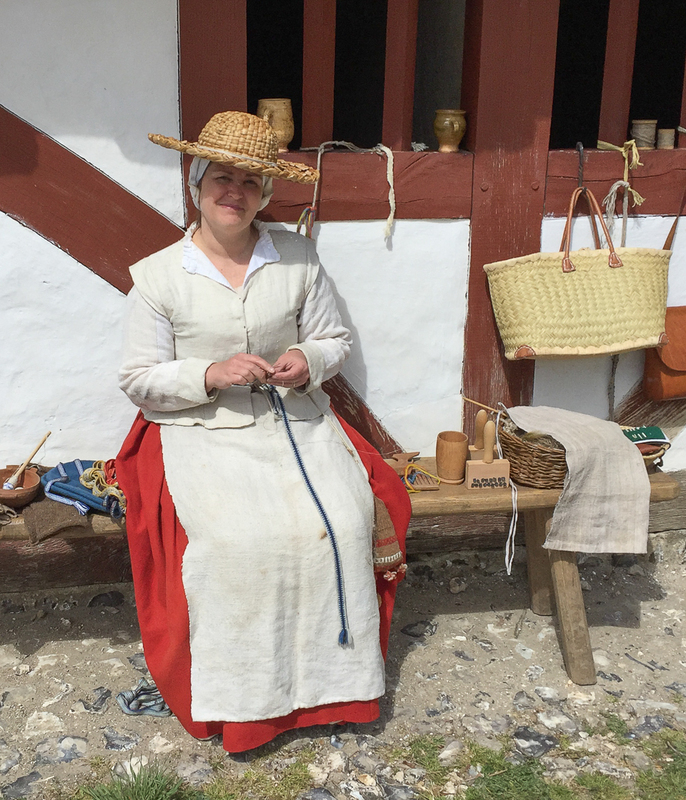 This group of fourteen volunteers from three local societies continues to steward two afternoons a week from April to October at the Weald and Downland Open Air Museum, Singleton. 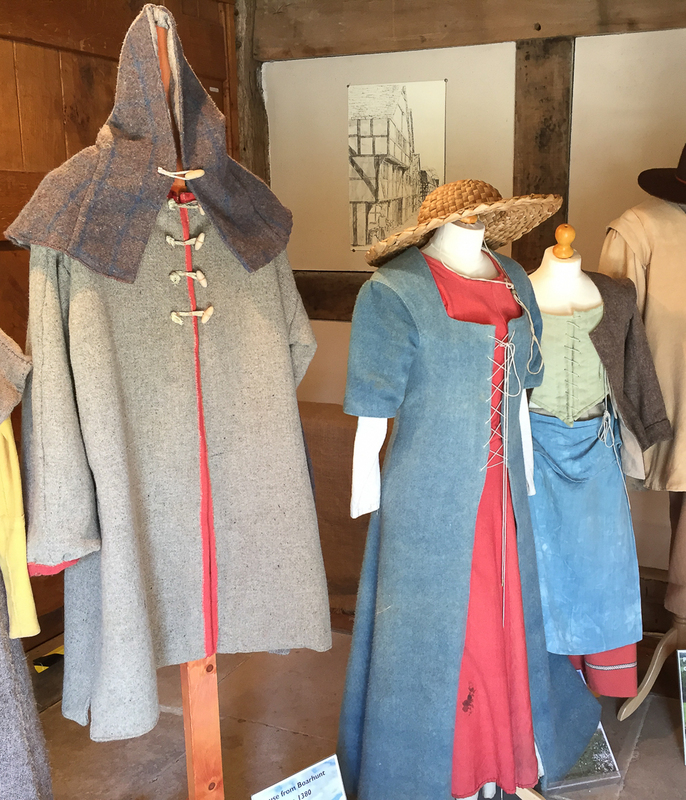 We steward in the Medieval Clothing Exhibition held in Lower Crawley Hall on the Market Square in the centre of the Museum, describing the making of the clothing, the dying process and the designing of the various costumes appropriate to the date of the houses in which they are worn. We can see up to nearly a hundred visitors an afternoon, who express great interest, come from all corners of the earth and from whom we often learn a great deal about clothing in other parts of the world leading to some fascinating conversations. It would be wonderful to have some more volunteers so we could open on an additional afternoon. Please contact Gillian Willson on 01798 865569 for more information.